The annual Master of Arts in Leadership Colloquium presents an opportunity to learn about the research MAL students have conducted as part of the final requirement for their graduate studies program. 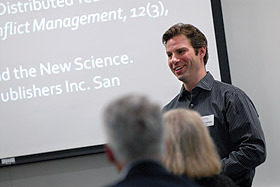 The colloquium will be held Wednesday, June 6 at 5:30 p.m. in Oren Gateway Center. How can corporate leaders optimize their conversation in the workplace? How does a leader’s behavior affect a subordinate’s commitment to their organization? How can communication efforts improve the satisfaction of part-time workers? 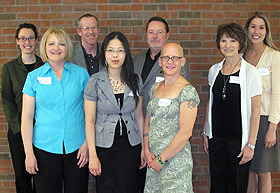 These questions and others were topics of graduate student studies in the 14th annual colloquium in the Master of Arts in Leadership program at Augsburg College. 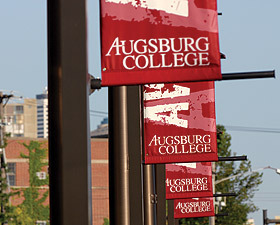 This summer and fall, Augsburg will introduce two new graduate program offerings: the Integrated Graduate Studies Master of Arts in Leadership and a graduate certificate in Social Entrepreneurship.